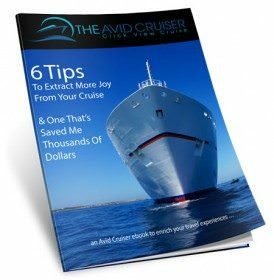 A couple of weeks ago, I was invited aboard Celebrity Summit for two days for the purposes of this review. Summit is the second ship in Celebrity’s fleet to undergo renovations as part of the Celebrity Revolution, a $500 million renovation project that will update all ships in the fleet. 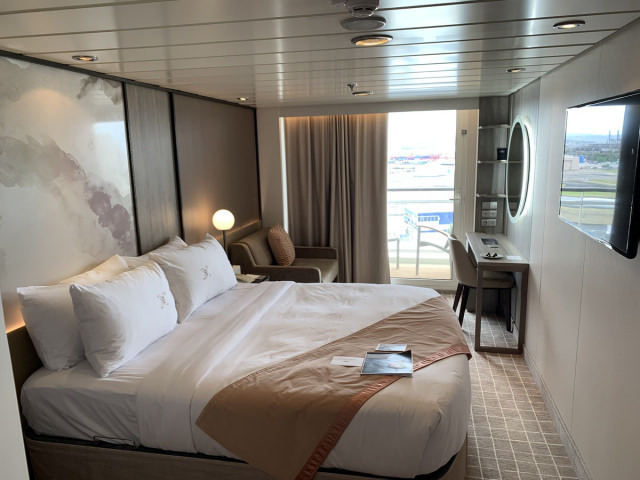 Celebrity has made many improvements aboard the ship, from completely renovated staterooms and suites to refreshed and redone public spaces such as the Rendevouz Lounge and the Retreat Lounge, formerly known as Michael’s Club. Before the Revolution, the ship had a more traditional feel with dark woods and warm textiles. Now, the ship feels lighter, more spacious, and quite frankly – stylish. While the design of the ship looks more modern than it did in the past, the new renovations also endow it with a timeless element, as CEO Lisa Lutoff-Perlo says. Indeed, the dark woods of the past made the spaces seem small and confined. The light colors make the ship feel more open and airy. The 18-year-old ship shows her age in some areas, such as hardware – stateroom light switches and outlets, for example, but overall she shines. There were many things about the ship that I liked – but there was one big one that I didn’t. Although there were many positive impressions that I gathered from my time aboard, there was one thing that I had an issue with. My biggest disappointment aboard the ship was my stateroom. The design of the stateroom was beautiful. I liked the use of wood in the stateroom. I also loved some of the decor, such as the lamps, the artwork above the bed, and the light linens. However, my room felt unfinished when I walked into it. And that’s probably because it was. The problem arose with the time constraints, I assume. Having to rebuild and redecorate all of the staterooms in just over a month is a big task. And even by my second day aboard, some of the issues that I had with the stateroom were fixed, such as a missing bathroom trash can. What this means is that I am highly doubtful that you will run into the same issues that I did with the room during your time aboard, but then again, you could. Upon walking into my room I noticed a few problems. First and foremost, my bed was not where it was supposed to be. It was about a foot off-center from the artwork in the room. After noticing this large gap between my bed and the side table, I asked my steward if the bed was supposed where it was. He gave me a shrug and told me that he could move it if I wished. I did. After putting my baggage down, I noticed a large scratch on the wall. Now, this certainly is not a deal breaker, as these things can easily happen on ships with people coming in and out of rooms. 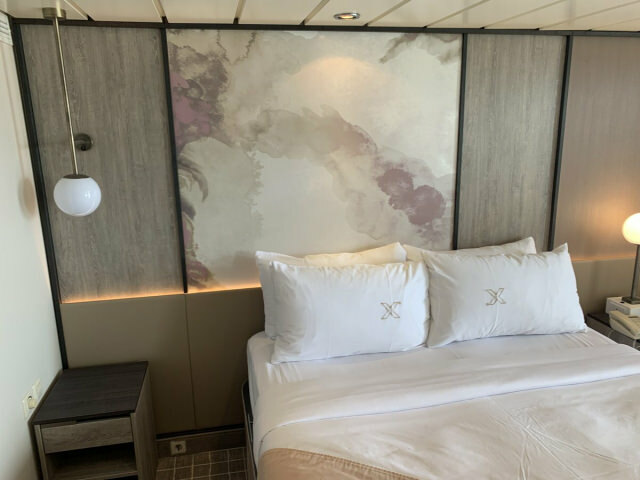 However, if I am the first guest to stay in the stateroom and there is already a scratch on the wall, I wonder how well those panels will hold out throughout the next few years. It didn’t take long for me to notice the piece of paper on my wall that said, “This is a new TV. Do not use.” Now, I don’t watch much TV on ships anyway. Regardless, it was off-putting that this warning was signaled by a print out that was taped to the wall. I asked my steward if I would be able to use my TV at any point during the sailing. His response? The paper was old and wasn’t supposed to be there anyway. So – why was it? Most of these issues seemed to be caused by a lack of attention to detail by my room attendant rather than a problem with the renovations. However, there were things in the stateroom that were left as they were before without second thought. Celebrity chose not to replace the thermostats, some switches, and phones in the staterooms. 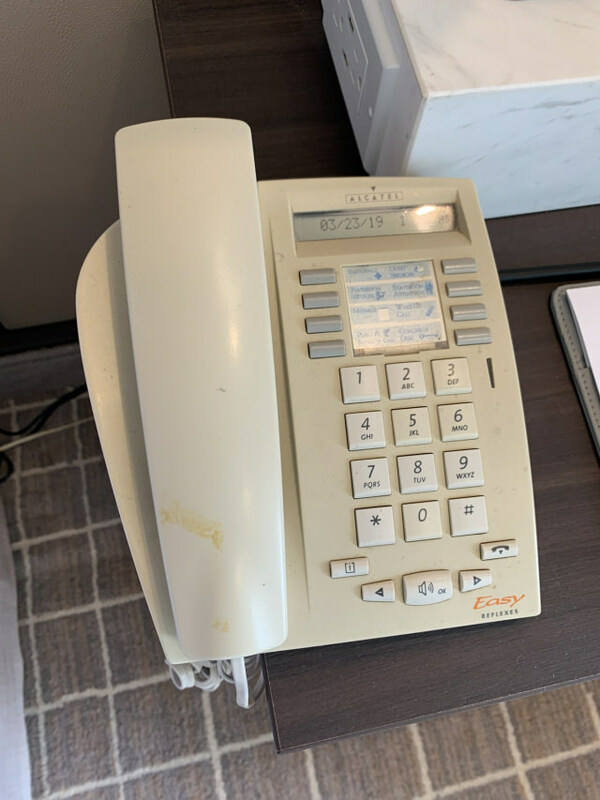 Now, this is not a big deal, but the eyesore of yellow switches and telephones did take away from the new design – especially when they were stained, as mine was. As I said earlier, the stateroom was really the only negative thing about the ship. And even then, these are things that I, as a guest, may overlook. I don’t care tremendously about how old the phone in my room is, but it seems like Celebrity missed some of the details. And when you are putting this much money into your ships, and priding yourself on a revolution, it just seems like things should be radically improved. Let’s get on to the positives. One thing that I really enjoy about Celebrity is its ability to entertain guests around every corner. 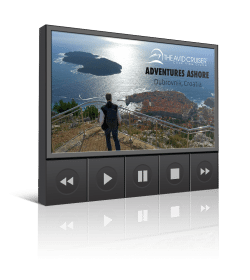 It seems like no matter where you go on the ship, there is something to do. There is wonderful nightlife on the ship, and the shows were fantastic and original. I spent most of my nights between the Martini Bar and the Rendevouz Lounge. The Rendevouz Longue is a perfect place to hang out and have a nightcap after dinner. There is plenty of seating at the bar, and there is also live music. One late night, I also partook in karaoke in the lounge (I performed “Call Me” by Blondie). Karaoke seemed to be a crowd favorite. The staff at the Rendevouz Lounge was great. Everyone was attentive and friendly. Not only were the bartenders playful with each other, but also with the other guests. During music performances, everyone behind the bar was dancing and singing to each other – but don’t worry, your drink will still come out perfectly. 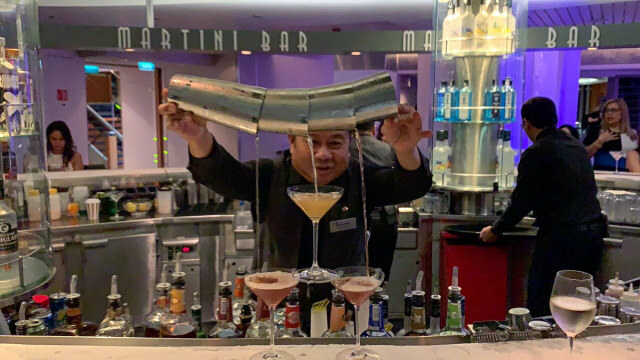 The Martini Bar was the most popular spot on the ship. At times, I stepped on a few toes because there was hardly standing room. While that may be a turnoff to some, it made the space more appealing to me. Everyone stood around with their martinis in hand, and enjoyed music played by a DJ close by. The drinks at the Martini Bar are not the only thing that makes this space special. The staff is so talented. Whether the bartenders were pouring five shots at a time, or throwing shakers up in the air; watching the drinks being made is part of what makes this venue great. The art of the cocktail is alive and well aboard Celebrity Summit. If there is sitting room around the bar, it is a great place to be. The oval-shaped bar houses many different types of liquor. Sitting around the bar gives a 360-degree view of the bartenders at work. The bar itself is made of ice, so even if you get carried away with watching the drinks being made, your martini will stay cold. There was so much about this ship that made it great. Next week, I will talk about the other entertainment venues onboard, and more about what nightlife on Celebrity Summit looks like. I will also look into the multiple dining venues the ship houses. All in all, I was impressed with the ship. I didn’t expect to be at first, because I was so taken aback by my stateroom. But once the kinks were ironed out, I was able sit back and enjoy my time aboard. Check out next week’s post for more impressions about Celebrity Summit. Although I prefer smaller ships, I only sail Solstice class ships with Celebrity because it is a much nicer experience overall and the alternative restaurant Murano is excellent. What Celebrity is doing is taking many of the design elements from their newest ship, Edge, and incorporating them in the rest of their fleet. The colors and fabrics used throughout the ship and in the staterooms is a great example. I am interested in hearing your comments on the multiple dinning venues, which I think was one of the more interesting aspects of the Edge. We went on a Caribbean cruise on Celebrity Summit many years ago. The Summit is a smaller ship so less crowded. We had a great experience then and are glad to see Celebrity decided to update the ship. We have also cruised on the Celebrity Solstice and spent extra money for Aqua Class because it allow us to have restaurant Blu as our main dining room (as opposed to the much larger main dining room). It was well worth the extra money for the use of restaurant Blu, great service and no crowds…I would recommend upgrading to Concierge or Aqua Class. May you never have bigger problems in your life – then you are really lucky.